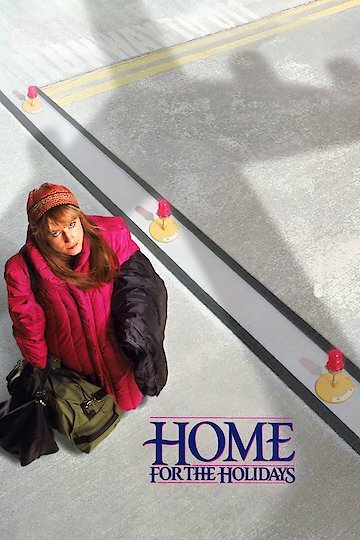 This holiday-themed comedy/drama presents the tried-and-true situation of a beleaguered adult going home for the holidays to spend time with her dysfunctional and infuriating family. This time, the protagonist is Claudia, a recently unemployed professional, who has to endure Thanksgiving in the same house with her judgmental sister, her gay brother, her crazy aunt, and other difficult relatives. The film was directed by Jody Foster and stars Holly Hunter, Robert Downey Jr., Dylan McDermott, Steve Guttenberg, Charles Durning, Anne Bancroft, and Claire Danes. It was released in 1995 to mixed reviews. Home for the Holidays is currently available to watch and stream, buy, rent on demand at Amazon, Vudu, iTunes, Google Play, YouTube VOD online.